We are almost there! The weather for the next week looks promising. The key to the course opening full steam is a good thaw. In the mean time, temporary greens are available for walkers. The course survived the winter well. 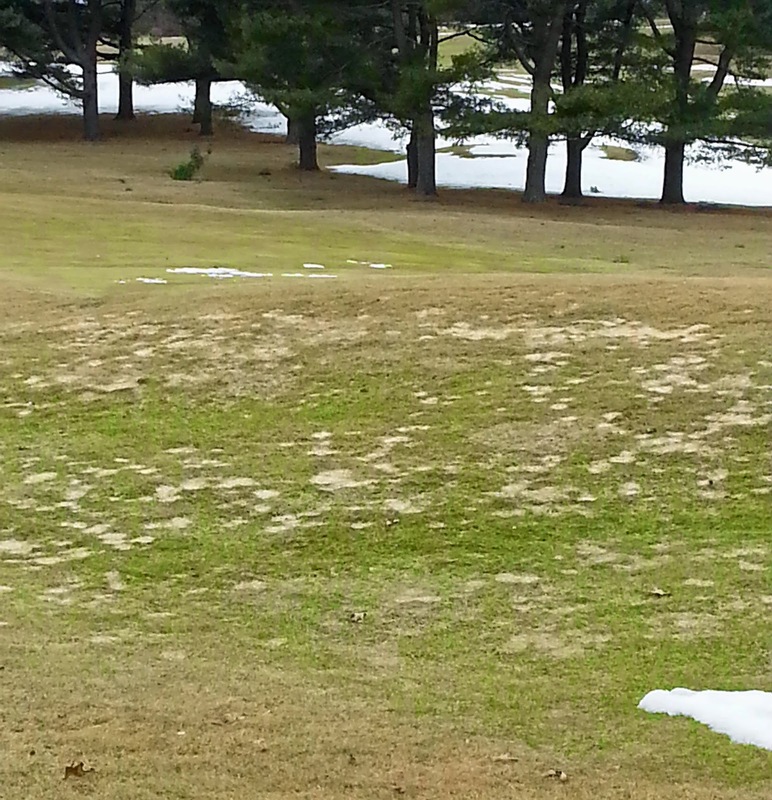 Some snow mold in the untreated areas but nothing to be concerned with. The greens look good except for a few suspect spots. As soon as these spots thaw, we will remove test plugs to bring inside simulating spring conditions. The growth results will determine if we need to adjust the spring maintenance plan. Again, no cause for alarm. This is a standard practice. 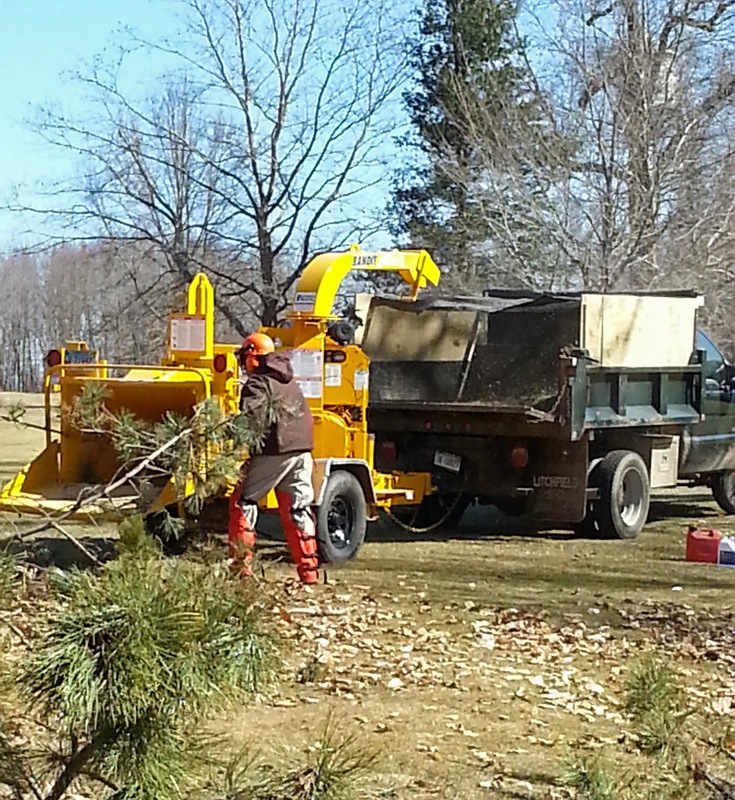 March has been unseasonably cold, but it has afforded our staff the ability to do some "in-house" tree maintenance. We have spent this entire week doing some pruning and debris chipping. Soon enough the staff will be trading in the wood chipper and rakes for a greensmower. I know I can't wait!